Saw this press release come across my inbox; Terrence Davidson has transgender models in his fall campaign! I dunno so much about the tagline (of course the model looks real, she's a real human, not a mannequin...?? ), but I'm certainly stoked to see these ladies in a major brand's ad campaign. LOS ANGELES – Television style expert and celebrity hairstylist Terrence Davidson releases the fall campaign ad for the Just My Color hair extension line featuring transgender models celebrating the unique diversity of the hair collection. 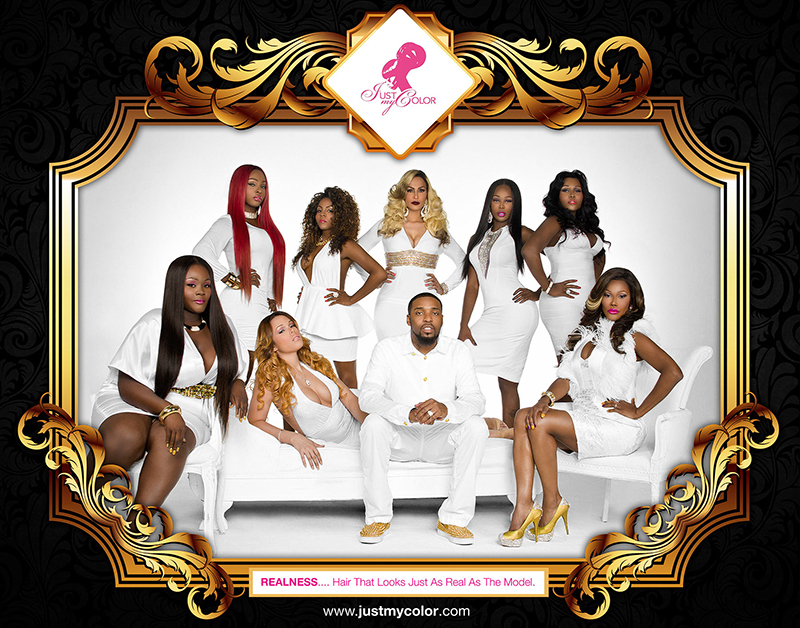 The Just My Color hair collection website launch is set for September 17. The new hairline exclusively features virgin Indian Remy hair with a Eurasian blend, a blend of European and Asian hair that fits all ethnicities and hair textures. With proper maintenance, the 100 percent human-hair last up to 2-3 years compared to other competitive brands with a 2-3 month life cycle. As a virgin hair product, this means the hair has never been dyed, permed and or treated with any chemicals, offering a unique ability to blend into natural hair after a salon quality hair dye treatment. Terrence Davidson is most known as the former wig creator and chief hairstylist for popstar Nicki Minaj. Throughout his long hair career, Davidson has styled for stars like Jennifer Hudson, Patti Labelle, Tyra Banks and Mary J. Blige. Terrence Davidson has appeared on numerous style segments and talk-shows like E! News, the Ricki Lake Show and Access Hollywood. Loving this campaign! These women are gorgeous and they make the product look amazing! Well done, Terrence Davidson. I'm so glad you blogged about this! Just FYI, "realness" is a slang term among trans women, and specifically trans women of color, so there's cultural reason for using this language and it should very directly speak to a target audience. I've been out of the loop this week so I just saw this. But this is a long time coming, and I'm liking it! I'm also liking a little bit of size diversity in there. Those wigs are really good looking! I'm liking the one with the big blonde streak on the woman on the far right. '..fits all ethnicities...'. Would have been nice had he shown a variety of ethnicities. Nah. It's nice the way it is.